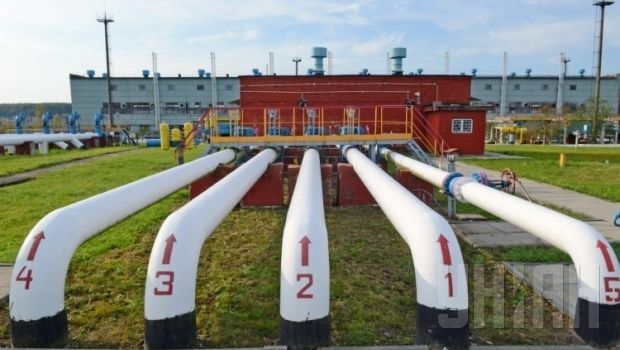 State gas company Ukrtransgaz, a subsidiary of National Joint Stock Company Naftogaz Ukrainy, has been instructed to prepare the Ukrainian gas transportation system for resumed natural gas supplies from Russia by December 11, according to the company’s press service. "According to the document that we have received, gas imports are to be resumed from December 11," a representative of Ukrtransgaz said. As UNIAN reported earlier, on December 5, Naftogaz Ukrainy transferred to Russian gas company Gazprom $378 million in advance payments for gas supplies of 1 billion cubic meters. Gazprom confirmed it had received the payment on December 6. After that, an official representative of Gazprom, Sergei Kuriyanov, said that the company could resume gas supplies to Ukraine within 48 hours at the latest. At the same time, no applications have been submitted for gas imports from Russia, he said. According to the Brussels agreement (the so-called winter package) on the Russian-Ukrainian gas dispute signed as the result of last round of trilateral negotiations between Russia, Ukraine and the European Union on October 29-30, the price of Russian gas for Ukraine by the end of the year is $378 per 1,000 cubic meters, and $368 dollars in the first quarter of next year. Naftogaz Ukrainy will have to pay in advance for shipments of Russian gas, according to the agreement.